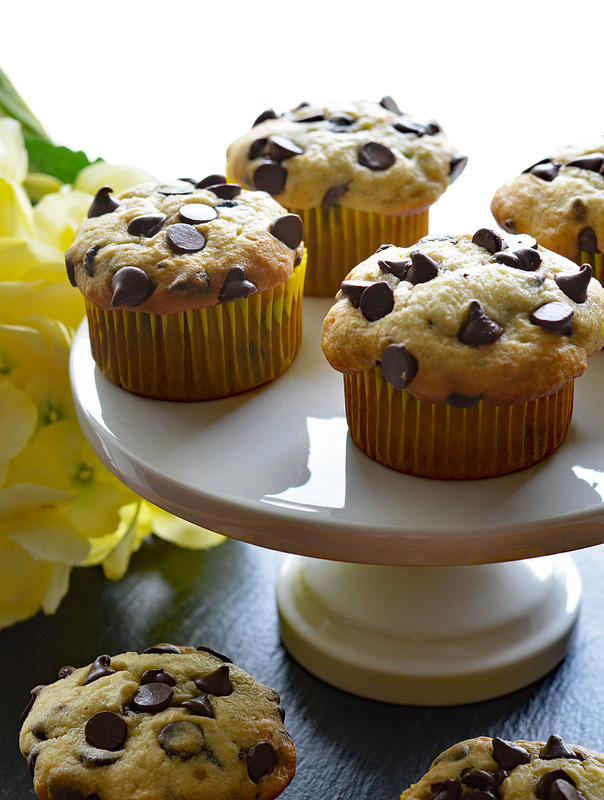 These Banana Chocolate Chip Muffins couldn’t be any simpler to make. 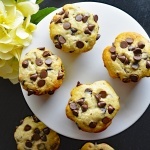 You can also use the base recipe to make a standard chocolate chip-free banana muffin…or even banana bread in loaf form! 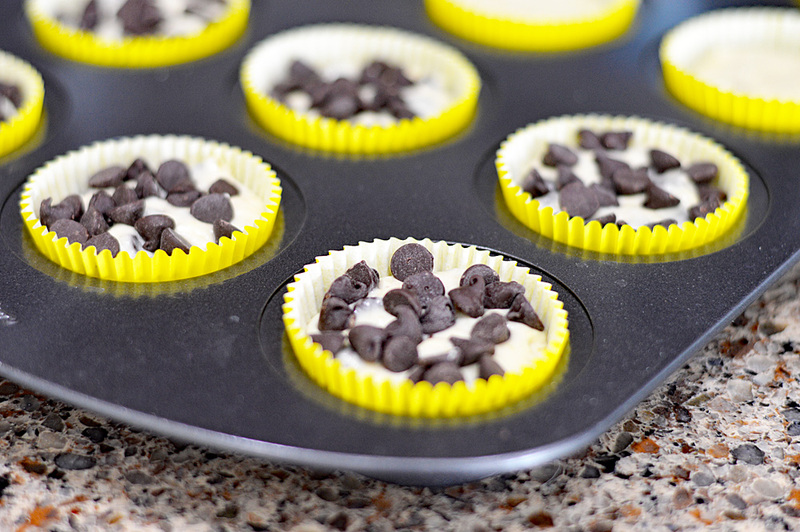 I used these bright yellow cupcake wrappers. They are so cheery! I use this brand of vegan chocolate chips. Consistent results every single time. They also make dark chocolate morsels and chocolate chunks (which re amazing)! I like to top with a few extra chips (okay, maybe more than a few) for aesthetic purposes. The chips do take some time to set up after baking, so allow to cool completely. Unless, of course, you are like me and enjoy them warm and gooey. 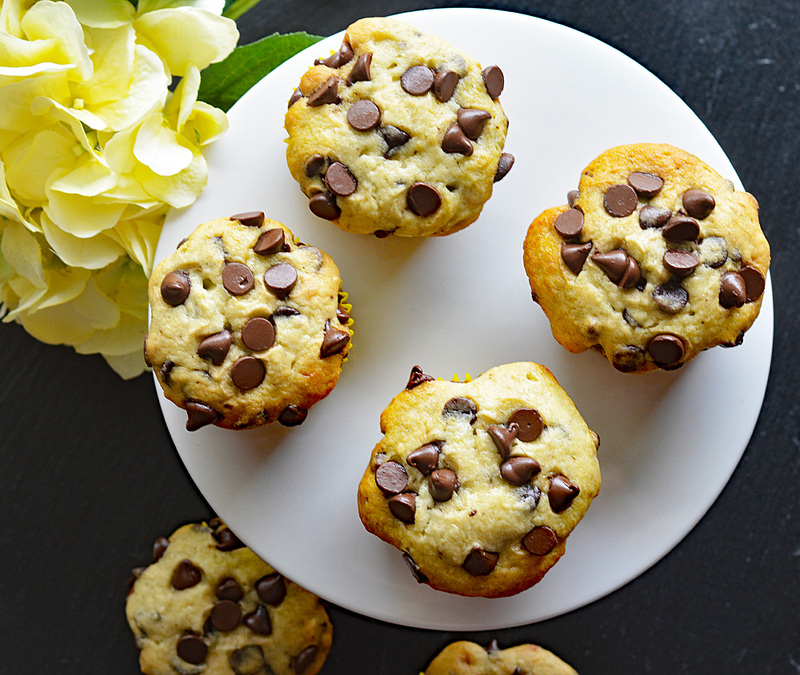 These muffins just make me happy. 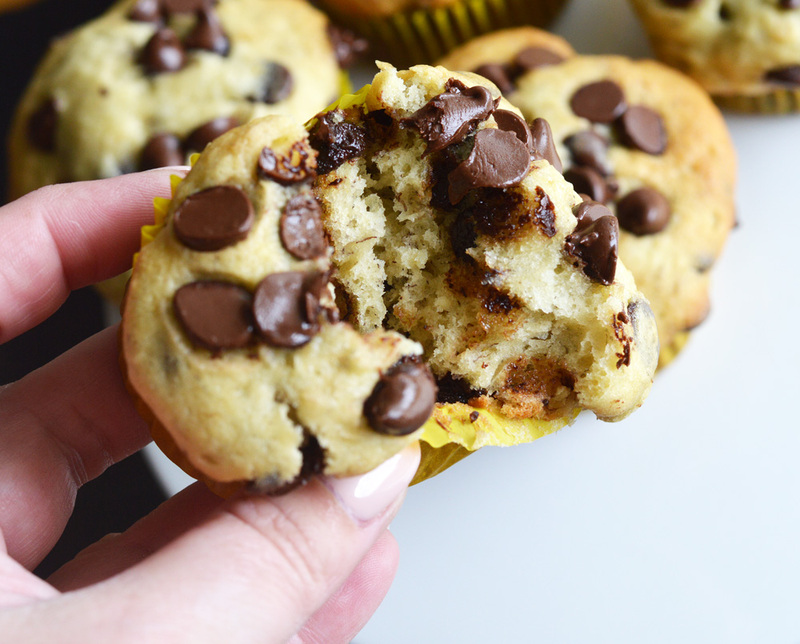 Did you make this recipe for Banana Chocolate Chip Muffins? Leave me a comment below and let me know what you thought. 2 tbsp Almond Milk Coconut, etc. 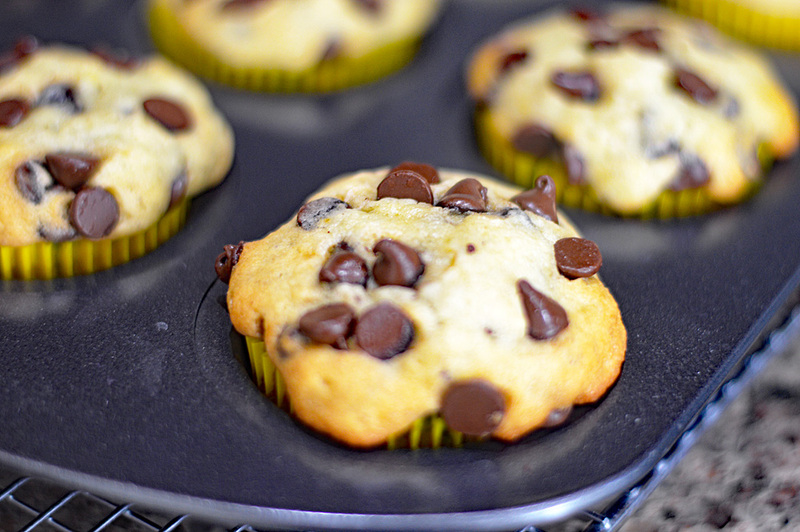 Prepare muffin pans with cupcake wrappers. Whisk dry ingredients together and set aside. Combine all wet ingredients in the bowl of an electric mixer. Add dry ingredients mixing just to blend. Do not over mix. Allow approximately 8-12 minutes or until a toothpick inserted comes clean. Cooking times vary greatly with each oven. Just keep an eye on things. Remove and continue cooling on a wire rack. These can be individually wrapped in foil and frozen.